Frogs, Butterfly, and Ladybug Baby Bedding all have a broad appeal, from parents to grandma to big brother and sisters. 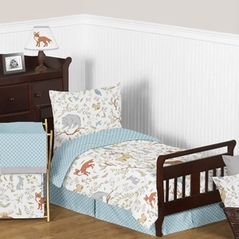 Whether you're into the Modern Baby Bedding styles or would rather prefer the Country Western Crib Bedding Sets we are sure that these critters will grab your attention and your imaginations. See what we have to offer: from Brianna'a Butterfly crib bedding to Gracie's Garden bedding and even Bumble Bee crib bedding, and don't forget our adorable frog baby bedding sets, our quality linens and home decor solutions will be sure to turn any sized room into a fun adventure for your child. Don�t forget about accessories! Frogs, Butterfly, and Ladybug Crib Bedding lends itself to all kinds of great ideas for accessories, from lampshades to artwork, so have fun with it! Our Green Dragonfly crib bedding and lavender Ladybug baby bedding are our more popular sets, available in many colors such as pink and yellow. Our entire selection of Frog crib bedding, Lady Bug baby bedding, and Bumble Bee crib bedding sets are sure to make even the most picky of children happy! 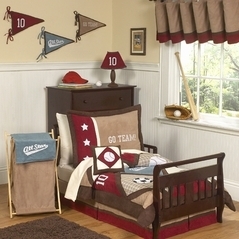 And all our crib bedding sets are also available in all sizes including crib, twin, double, and even queen sizes! 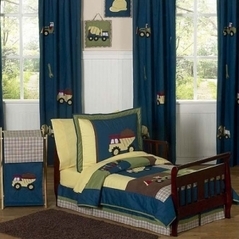 Your children�s crib bedding set will be a perfect addition to their room decor. Make sure to take a look at our fun Polka Dot Baby Bedding and Toile Crib bedding collections for more great ideas!